He is the president of the donburi club, Don R's, in Tootsuki Culinary Academy whose heart and soul of the Donburi Club which has been in the academy for. 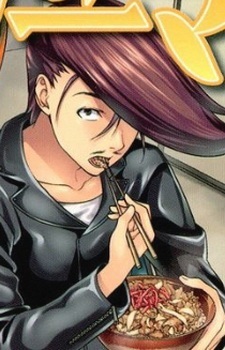 Used Though he is considered as frail competitor among the other Shokugeki participants and even weak of all students of the entire academy and one of many students who fear to cross Erina, Kanachi became a key member to the academy newcomer, Souma Yukihira's first Shokugeki victory over another Shokugeki participant and champion, Mito Ikumi, the competitor he lost during the Shokugeki for the Don R's by passing every thing he know about the Shokugeki and the information of the donburi dishes to the Yukihira Genius before Souma eventually quit for another recipe in mind. Though sometimes incompetent, Kanachi is a charismatic leader of the Don R's before Erina used her Elite Ten Council as her Whenever he is upset or shocked, Kanachi's hair play the emotion and Kanachi seemly has the knowledge of all Donburi related dishes.